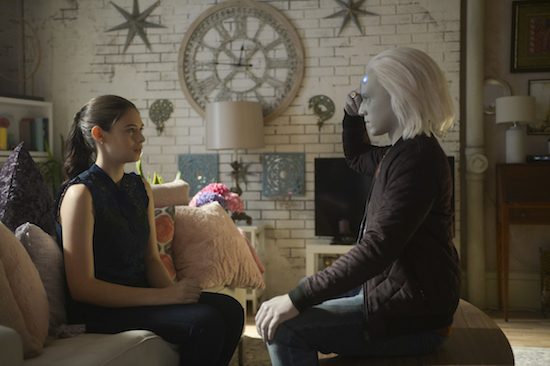 SUPERGIRL is finally diving deeper into Nia’s (Nicole Maines) latent superpowers on the Sunday, December 2 hour. Supergirl -- "Bunker Hill" -- Image Number: SPG408a_0322b.jpg -- Pictured (L-R): Nicole Maines as Nia Nal and Jesse Rath as Brainiac-5 -- Photo: Sergei Bachlakov/The CW -- ÃÂ© 2018 The CW Network, LLC. All Rights Reserved.